P.S. If you want to find out how I managed to create a 4-figure monthly passive income stream at such a young age, please check out this program! That's the exact same program I went through, took action and achieved such results. For example, when you refer your friends to take Uber or become a Uber driver, Uber will reward you with a coupon code, right? This is affiliate marketing taking place! You're "getting paid" by recommending a product or service to other people. Let say you want to purchase a DSLR camera but you couldn't decide which brand and which model to buy. You're struggling between Nikon and Canon. You'll go to Google and type in something like "Best Nikon DSLR camera" or "Nikon vs Canon DSLR camera". Basically, affiliate marketing is the process of promoting other people's products and earn commissions. In the case of DSLR camera, when you did the online research, the things you are reading could be written by an affiliate marketer. Or the person doing a camera comparison video on YouTube may have an affiliate link in their description for you to click on. When you click on any of the links to purchase your camera online, that affiliate is being credited by the seller and they'll pay him or her a commission. Which means, a certain percentage of the money you paid for the camera will actually go to the affiliate. That's how affiliate marketing works and that's how powerful it is! Like I've explained to you just now, affiliate marketing has the potential for you to do something once and get paid again and again. 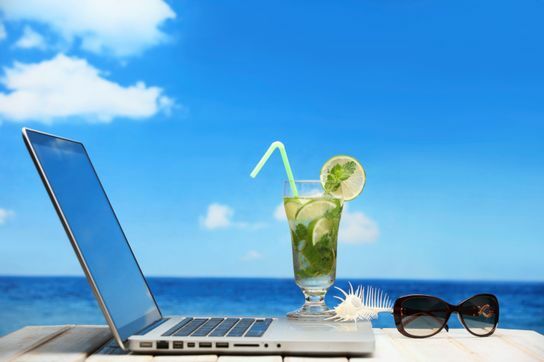 Because your website/business can be working for you 24/7 even while you sleep and travel. And this process is called passive income! This is a totally different concept than the traditional 9-5 jobs where you get paid by the amount of time you work and your work performance. You'll never enjoy financial freedom in that traditional system and mindset. 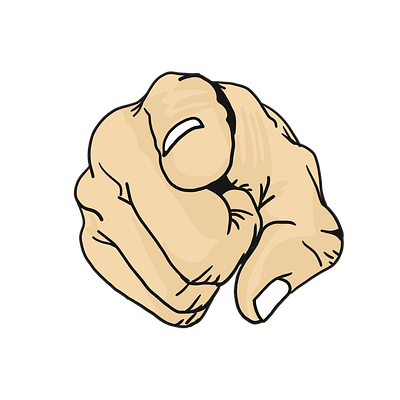 So, give yourself a pat on your back because the fact that you're reading this right now shows that you're taking actions to change your life and pursue your dreams. The good thing about having your own online business is that you don't have a BOSS to listen to and you can work anytime anywhere you want. I'm sure many of you have heard of a business model called Multi-Level Marketing (MLM) or Network Marketing. Probably some of you have tried that or are doing that right now. It doesn't matter. We all know that we need to do face-to-face selling and this kind of selling is not for everyone. 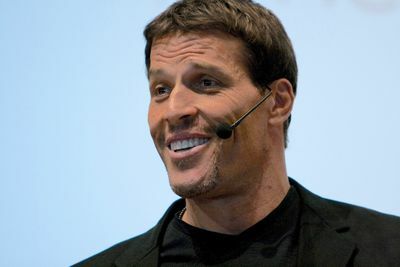 A lot of people have the fear to sell somebody their product. And the problem comes when you try to sell it to your friends and family members. That's what happened in most MLM, right? Guess what?! None of that is going to happen in affiliate marketing. You don't have to face any person if you wish to. Your website will do all the selling for you 24/7. Basically, the "person" you need to face is your laptop! Last but not least, literally anyone can build a profitable affiliate marketing business. You don't need to know any coding, programming or sales techniques. Don't believe me? Click on the link below and try it out yourself! Affiliate Marketing is for everyone as long as you're willing to put in the hard work to build your own passive income streams. In traditional jobs, you work for your next paycheck. If you stop working, your income stops. However, in affiliate marketing, you're working for your passive income streams. When you have a passive income stream, you work only if you choose to, not because you have to! Back to the point, like I've said earlier on, you don't need any prior experience to get started in affiliate marketing. Because we have an awesome community to help you. How to Make Money with Affiliate Marketing for Beginners in 2019 (and beyond)? But the one I'm focusing on here is called Search Engine Optimization (SEO) or Content Marketing. You will be given an unique affiliate link when you're accepted into any affiliate program. That link allows them to track who are the affiliates that refer the sales. To make money from affiliate marketing, all you need to do is to get people to purchase products through your affiliate link. But unfortunately, the process of making people to purchase through your affiliate link is not that simple. I'll cover that part in the next section. This niche will determine the topic of your website and the affiliate products you're going to sell. Don't worry if you don't think you're an "expert" in your niche. Believe it or not, you can make money anyway. The funny thing is that some experts don't even know how to leverage their knowledge and make a fortune. In affiliate marketing, your main focus is to learn the "marketing" aspect. 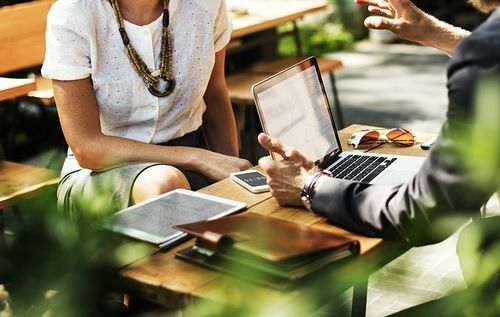 As long as you know how to market your product to your target audience effectively, you can make money even if you're not an expert in that area. Most of us all started doing affiliate marketing part-time so you need to have a good time management between your "active income work" and your new business. It's best that you can spend at least 2 to 4 hours per day. As for your strategy, my recommendation is content marketing, which means you'll need to create content consistently. So, you need to plan how many posts you're going to write per week, things like that. 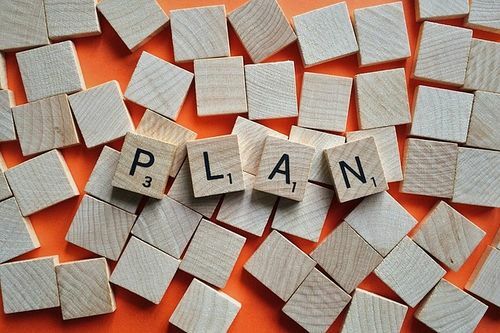 Once you get started, you'll have a better understanding of what to prepare and what to plan. Next, this is a really exciting step because you're going to have your own website set up which will be your ATM in time to come. 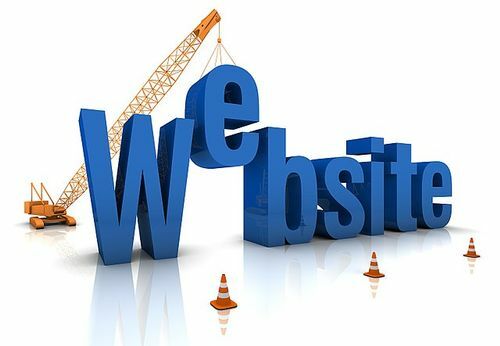 Building a website or a landing page is extremely easy today, thanks to the technology we have. That's why you do not need to understand a single line of code to build a website. In fact, there are many marketers online who don't know anything about coding or programming (myself included). You can't promote any product you like because that's not going to work. Relevancy is the key to conversion! After you've got your affiliate product in place, you need to drive traffic to your landing page or your product review page where you have your affiliate links. There are a lot of way to generate traffic. I wouldn't go deep here. But the two major ways are free traffic and paid traffic. As long as you have an irresistible offer and a highly target traffic, they will convert and you'll make money. "Imagination is the TOOL you use to create your FUTURE"
"SKY is the LIMIT in Affiliate Marketing"
Look! Are you willing to spend 1 to 2 years to build your passive income so that you don't have to work for the rest of your life? I'm sure this is a no-brainer. Anyone with a brain will say yes. I'm not giving you a guarantee or a promise. It's just a rough gauge for you because everyone has a different situation. You're only going to get the results you deserve if you treat your affiliate marketing business as a REAL business. Treating it like a real business means that you need to dedicate a certain amount of time everyday and put your FOCUS there. You can't expect to make a full-time income via affiliate marketing if you're willing to put in a "part-time effort". Make sense? Unfortunately, a lot of people are still dabbling around just "trying things out". They don't treat any opportunity seriously. Their thinking is that they'll only put in effort it if they see some results. However, the reality is the other way round. Only when you're willing to put in the effort, then you can see the results! This is the same for everything you do in life. You're not going to go to the gym for just one week and expect to lose 20 kg. That's impossible. By the way, you must consistently work on your site and also invest in your own education. I'm referring to the everything you learn which can help you hone your skills in online marketing. A lot of people couldn't find a balance between these two. Some spend too much time working on their website but they seldom improve their skills. So they may be doing the wrong thing again and again. In fact, you've probably seen a lot of advertisements or promotions that promise you things like "earn $5,000 in two weeks time by following this simple system". I can tell you almost all of them are scams, if not, there are some catch to it. So be careful! In affiliate marketing, you will not be seeing any significant results in the first few months. However, if you're willing to persist and be patient along the process, you're going to get the results you wouldn't have imagined. 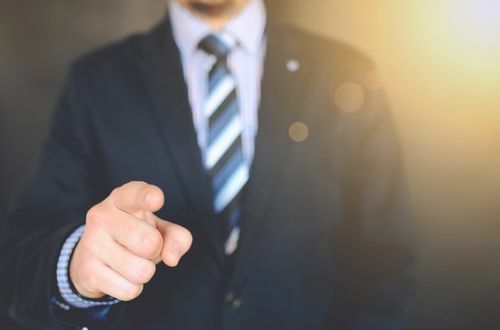 "Only if you're willing to do things others don't want to do, you'll get the rewards others could only dream of"
"If you want to achieve success, all you need to do is find a way to MODEL those who have already succeeded"
But where to find a mentor? Isn't it expensive to hire a mentor? Aha! Don't worry! I got your back. Like I've mentioned several times in this guide, there's a community where I like to hang out. There are a lot of successful affiliate marketers in different markets ready to help you out. I treat this community as a great resource and I have a few different mentors whom I'm following. Friends in this community can hold me accountable for my journey to success as well! Affiliate Marketing is my favorite way to make money online. Don't worry, affiliate marketing is not going to disappear and it will not be saturate as well. Because e-commerce is growing at a pace that no one can predict. It is estimated that the retail e-commerce sales will skyrocket to more than 4 trillion in 2020. With the growth of e-commerce, affiliate marketing is only going to grow as well. I've tried to cover as much as I can within this post. If you have any questions, I encourage you to leave them in the comments below and I'll get back to you as soon as humanly possible. Or, you can visit my Affiliate Marketing FAQ page to learn more about affiliate marketing. This post is worth sharing. Thank you so much for all the important details you wrote. Great content about Affiliate marketing. I enjoyed reading the article. Thanks for posting. Great article! Very good explanation. Thanks for sharing! My affiliate blogs never worked before until I gave up. I realized I am doing it the wrong way. Many thanks for this! Now I know I’ve been doing the wrong ways before. Excited to see good results. I worked on some of your techniques. Very true. It really needs a lot of patience to become a successfull affiliate marketer. Such a wonderful post. Hopefully now I can manage my affiliate marketing site. I already quit but after reading your article, it inspires me to start again. Thank you! Awesome. Wish you all the best! I am creating my first affiliate amazon website here in 2019. I do not want to make a mistake as there is now Gutenberg as an alternative to page builders. I have joined Thrive membership 2 months ago but have read that Thrive Architect can conflict with Mediavine ad placement and cause even no ads to show up. (as with other page builders).I think some website owners are using Gutenberg instead for blog posts and use Thrive perhaps for specific landing pages where ads are not as important. I have noticed your mediavine ads seem to be fine on a blog post in your website. Since you are using Thrive Architect, I would like to ask have you had any issues in this regard with ads from mediavine and use of the page builder, Thrive Architect? Hey Dan, already answered this question for you in another thread! “Top 4 Tips to Double or Triple Your Success Rate in Affiliate Marketing”. this tips are very useful in affiliate marketing and also for beginners. Thanks for sharing this brilliant and also useful for me. You should keep posting these kinds of article. The good thing about having your own online business is that you don’t have a BOSS to listen to and you can work anytime anywhere you want. That’s right Udit! Thank you! This is by far the best list of affiliate programs! In general, I want to try some more of this article. This is a great way to work for yourself and live life on your own terms. Thank you for this great post! Keeps the users interest in the website, and keep on sharing more. I am definitely convinced that affiliate marketing, marketing through SEO and content marketing is the way to go. Nice work for sharing those ideas. Please keep it up! Thanks for the article! It has useful information! I was curious in the past days how I can have an income online. I have no skills and knowledge and I would like you to tell me your opinion about a method I discovered, which promises income through affiliate marketing. And it’s called Five Minute Profit Sites. Hey George, thanks for stopping by and I’m glad this affiliate marketing guide helps! I have got a question relevant to that and if I can be helped with an answer that would be just great. Actually, I am a new blogger, it’s been months of blogging and now I have built a good amount of traffic and following after such hard work that I need to get into affiliate marketing now (which was the goal along creating good content). My contents are based on multiple niches and I assume that requires a lot of extra work if products can’t be found under one platform and a tool that can allow me use my socials as well. Should I go for that or maybe you can suggest me something. Any sort of guidance is appreciated. First of all, thanks a lot of stopping by and I’m glad my content helps. To be honest, it’s not complicated. Even if you’re only focusing on one niche, you may also have to apply for multiple affiliate programs for promoting different products within the niche. You just need to take some time to find and apply for those different affiliate programs. Thank you! I’m glad this is helpful to you! Thank you Jerry Huang, for the important information about Affiliate marketing! Yeah, affiliate marketing is a great way to make money online. 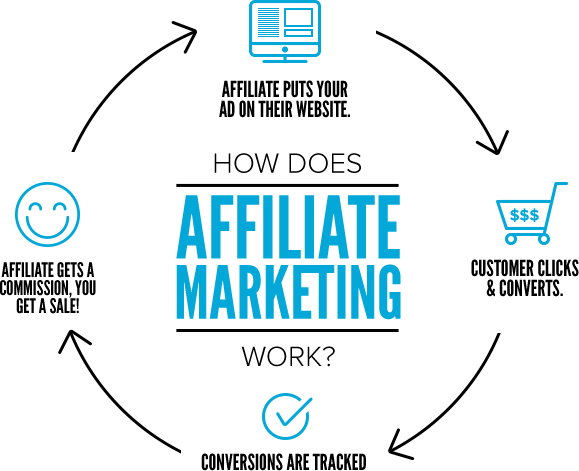 The best part of affiliate marketing I like most is that anybody can do affiliate marketing at a very low startup cost but we can all earn millions by selling affiliate products. After reading your article, I think that this is a really helpful post for everyone, especially beginners. It is really a bookmarkable post that every beginner should have. Loved your post and some of the effective ways to start affiliate marketing right away. Thanks for sharing this article. I prefer to use Google AdSense a year ago but switched to affiliate as the money you can earn from affiliate is different. Thanks for sharing such a depth in article. That’s right! Google AdSense can help you earn some pocket money if you have enough traffic to your site. But affiliate marketing is what makes you the full-time income and beyond! I am definitely convinced that affiliate marketing is the way to go, as it allows so many people to make money online without selling face-to-face in person and without hosting home meetings just like they do in MLMs. 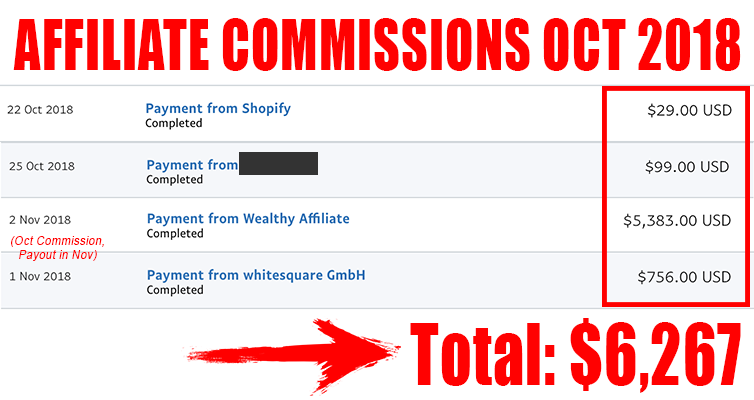 Staring at the screenshots you gave, it amazed me that people are really making great income with affiliate marketing. But, I’d like to know, if those screenshots of income are yours? Or of someone who’s also a member of Wealthy Affiliate? 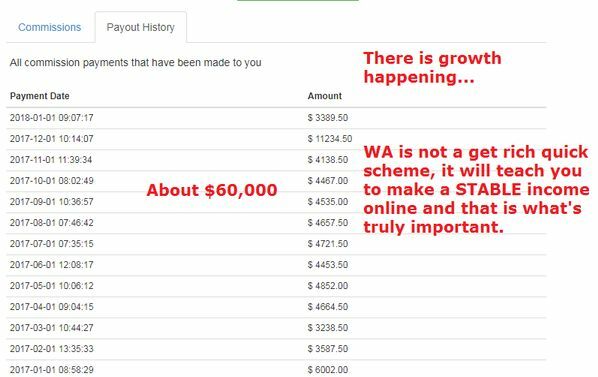 At the middle of the post, I’ve also included income proofs from other WA members. Jerry, thank you so much for this deep information about affiliate marketing you shared with me. It’s very helpful. Keep doing the good job. Hey Jerry, this was a helpful post. It helped me a lot as I’m just getting started with affiliate marketing. Thanks for all the helpful information and tips! Wow.. This is great post. So much clear instructions. Loved it! This is an amazing post. Deeply explained everything and really helpful. Thank you for the great post. It’s my pleasure Amol! Glad it’s helpful! it will help me in for years too. Thanks for posting sir! Nice presentation. Love your article. Thank you so much! Good read. Seems like there’s so much stuff out there to read before you even get a chance to join a program. I want to do my due diligence but it seems like everyone pushes you one way or the other. One thing that I can guarantee you is that I don’t just say “I’ll be your mentor” for the sake of persuading you to sign up. I mean it when I say I’ll be your mentor. Currently, I’m a WA Ambassador. A lot of my referrals or even non-referrals have thanked me for helping them a lot. So if you want to find that ONE person to follow, I’ll be my honor if I can be that person. I can’t afford to pay the amount to be a member of WA but I really wanna start my own business. Please suggest me something that can help me pursue my interest in a cheaper way. Although there’s a Premium Membership which costs $49/month at Wealthy Affiliate, it’s actually free to join without any credit card information. Why not give it a shot first and join as a Free Starter member? Here’s the thing, I don’t have any other cheaper alternatives apart from you going on to YouTube and watch free (but random & unsystematic) videos. The reason I am recommending Wealthy Affiliate because it’s the most cost-effective program I’ve ever seen. Look forward to seeing you inside the community! I definitely agree with you. You only lose or fail when you quit! You should always treat this as a real business. And focus on helping instead of selling. Hey would you be my mentor??? Thanks for sharing valuable information on Affiliate marketing, this is very helpful especially for beginners like me. Great Article! I love how you put emphasis on the fact that affiliate marketing is truly a real business which has to be treated as such. There is nothing “Get Rich Quick” about affiliate marketing but if you stay the course, it will truly pay off in the long run. Freedom! I look forward to more from you. Keep up the great work! Thanks for your love and support! You’re definitely right. There’s no shortcut to success in any business including affiliate marketing. I must admit it’s not easy to succeed. But the reward at the end is definitely worth the hustle. 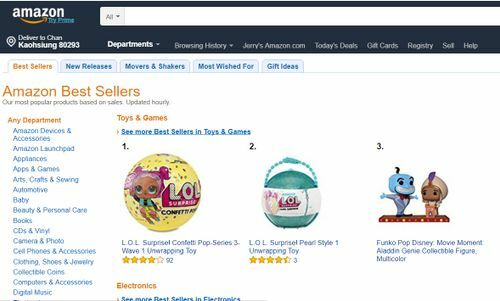 Hey Jerry, how to do keyword research and rank product review posts? These are great questions but they’re unable to be answered in just a few sentences. Simply because there are a lot of knowledge and skills to learn in order to master it. There’s no push button solution for that. Hello Jerry, I like your story. Could you help me to start affiliate marketing? Hey, what is the theme you’re using? Hello Jerry, thanks for your awesome article about affiliate Marketing! Thank you for sharing these tips. They are very helpful. You never know how much it helped me reading your article. I am planning to start my affiliate marketing site and this is very helpful. Thank you! Great tips about affiliate marketing. Thanks for sharing. If you are a merchant and want your products to sell more and to reach a large audience base, you hire affiliates who promote your products in exchange of a financial incentive via your affiliate program. So, the entire thing basically works on revenue sharing. Thanks for sharing. Being a merchant is a totally different story but they’re all correlated in this business. Just that their roles are different. Hey, thanks for your encouraging words! Social media is a great way to promote and sell your affiliate products. But it’s only effective if you do it correctly. One major mistake a lot of beginner affiliate marketers make is that they simply copy and paste their affiliate links on their social media profile, hoping that someone will click through and buy something. It’s also quite hard for you to promote on social media if you don’t build your brand and use paid Ads. Personal branding and paid Ads are the only two effective ways to sell on social media. Personal branding takes time and paid Ads need lots of money. So it’s not that easy as many people may think. That’s why I would recommend anyone to check out Wealthy Affiliate if he/she wants to learn the right strategy to make money from affiliate marketing. Very interesting and helpful post about affiliate marketing, thank you! Gotta need to apply some of these to my own business. Thank you for sharing those affiliate marketing tips. It’s really helpful! I’ve been struggling with my affiliate blog on how to make it work. Thank you for sharing those ideas, it helped me a lot. I’m glad it helps Ruth. This is a fascinating field that I have just started to dabble in with mixed results. Will keep your value people over profit mantra in mind. Totally agree with you. I just want to add that every affiliate marketer needs to learn about their traffic demand and which product they like to buy. Promoting irrelevant products is just a waste of time! Yup that’s a good point to add as well! Lovely list of tips on how to work with affiliate marketing. I have been doing it for quite some time now but you still had some great points which I really hadn’t thought about too much before. Your guides keep getting better and better. Always love seeing your posts here. They’re very inspiring for my own site! I am beginning to start monetizing my blog through promoting affiliate offers and this post provides a bombastic value. I am going to apply these tips & tactics and hopefully make some money. Affiliate marketing has been making me some nice income online through my blog for a while now and I recommend everyone to do so just like in the post! A lot of helpful information here. I have to write some of these stuffs down. Absolutely great post! I loved the last point that you have to do something different rather then promoting affiliate products in traditional matter. Glad you like it. Thanks for dropping by! 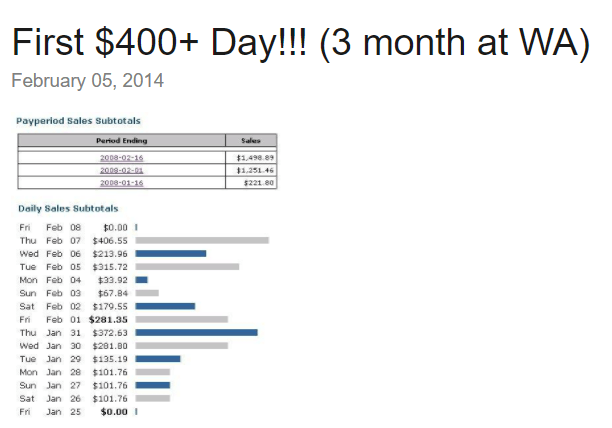 I am indulged in affiliate marketing for over a period of 6 months now and doing great figures. But I believe that by using your tips in my strategy, I’ll be doing much better. That’s great to hear from you Ron. I wish you all the best! A nice list of wonderful resources. I really loved all the tips and strategies you told here. Great advise for all new affiliates. It takes a long time to get a reasonable amount of traffic. This will help a lot of people out. Thanks Remus, I believe it will! Really great article. A lot of info to make you think where your strategy might be placed, especially if you are just starting out with this like I am. Great article. As the saying goes… ”content is king.” That’s as true now, as it was in the beginning. Yes, content is king in whatever business you’re in. A successful business needs to have unique and valuable content before it can become successful. This is especially true in today’s digital world. You are a very smart dude. Thanks for this article and I look forward to trying new things out. If there is any other information you’re open to sharing, I’m all ears. I’m really glad that you have a open mind to learn new things. I’ll definitely share more valuable information on my website! Lovely list of tips on how to work with affiliate marketing. I have been doing it for quite some time now but you still have some great points I really hadn’t thought about too much before. It’s really good to know that my post here can help people with more experience as well! Thanks for stopping by! This is a really excellent article. I was especially impressed by the range of different tips you explained. This would be so useful to newbie marketers. This post is super relevant. I personally see a lot of benefits with marketing affiliate products over social media. I think it can be a lot easier and profitable if the right strategies are put in place. Thank you for sharing. Hi Kenneth, social media can be a way to promote affiliate products but I personally think building your own website and Email list is more effective in the long term! Great ideas! Informative and helpful to us newbies. I been working on my niche lately and it seems I am missing something. I am positive I could gain my first sale after applying all those things you’ve mentioned. Thank you. It’s amazing to see someone shares great ideas about affiliate marketing for free. I never think of those you said. Many many thanks to you! Affiliate marketing is a struggle for me as a beginner. Sometimes I’m not sure if what I did were correct. Thank you for sharing your ideas. I could apply all of it. Hi! You have an awesome article here. I am just getting into affiliate marketing and never considered the other things you mentioned. Thanks! That is indeed interesting and useful information for anyone interested in building an online business, including me. I am actually interested to return to your website for new posts and articles. Thanks for sharing this post! This is a very informative article. This can help me in building my affiliate system. Thank you for sharing! Good to know that Val. Thanks for dropping by! Great post. I’ve been thinking a lot about how to promote affiliate products. It’s my first time doing this and I am not sure how it really works. Which part of affiliate marketing are you not sure about? If you’ve followed closely with my post, I’m sure you’ll have a much better understanding of how you can move forward with affiliate marketing. Another thought-provoking article – thank you. All of them are valid points of how to do affiliate marketing effectively. Nice work for sharing those ideas. Please keep it up. Newbie affiliate marketers like me really need those info. Thanks! Glad you find this helpful Jessica! All the best! Very good list. I needed something like this to start my affiliate marketing this year 2018. Hoping to see good results. Many thanks! This article will surely help beginners. Thanks for the guide, man! It’s very thorough and well-written! Also, it’s good to hear from a fellow young entrepreneur that’s excited about the opportunities of being your own boss, and building an online business. I’m curious, would you consider SEO to be sufficient for getting traffic to your site? Or have you found that PPC and Email Marketing is necessary? Have you found that SEO works well or? My impression is that it works, but that it just takes a significant amount of time to start working. And to overcome competition. Thanks for your kind words and your awesome questions! You’re right, SEO is effective but it’s a long-term strategy. It takes time to build that traction but it’s worth the effort. Paid traffic is very useful in the sense that you can build your business very fast. In fact, it’s possible to build a full-time business with paid traffic within 3 months from scratch. But the downside of paid traffic is that you need to be prepared to lose money at the start. There are a lot of trial and error before you can hit the jack pot. So, you can try paid traffic if you have the capital to invest. If not, you should go with SEO first since it’s completely free organic traffic. Eventually, you’ll want to combine both free and paid traffic together to produce the maximum result. As for Email Marketing, you should start it on DAY ONE. Start building your list on Day 1. Pat Flynn has said that one of his regrets is that he didn’t start building his email list from day 1. Wow, this is a massively specific article on affiliate marketing through SEO and content marketing. I really enjoyed all this helpful information. Affiliate marketing is a new process for me and so far I am really enjoying it. I am wondering if you could help me with one thing that keeps confusing me. What is the difference between a website and a landing page? Thanks for checking out my post and I’m glad you like it. A website has a lot of pages and posts. Everything you see online can be called a website. But a landing page is just one page on the website. And the purpose of the landing page is to do one thing, be it collecting Email addresses or having some Call-to-Actions and lead the readers to the page/post/content you want them to go to. Hey really cool ideas man! Really, affiliate marketing is the best way to earn passive monthly income if one really puts his knowledge and skills properly. I also love doing affiliate marketing as it gives me the freedom and flexibility which no other job can provide. Your detailed step-by-step affiliate marketing guide for beginners is really amazing. Even complete newbie can easily follow and build his online business. You make it clear that one can make it in affiliate marketing. You have laid out what it takes, how do do it and where to get it done. Nice work. I really like your affiliate marketing for beginners post. It’s true that this is an opportunity that can potentially make you a lot of money, provided you work hard and you have a strategy to keep up with it. I’ve observed this myself with my website and my Adsense gains. When I stopped creating content, nothing came from my business. But when I started to put in consistent work again (I post 1 post a week), it started to pay off. I don’t say that I earn a lot of money, but I feel that I have a more regular and daily revenue from my blog. Have a nice day! Hey, I absolutely agree with you. Consistency is key, like I’ve mentioned in my post. Glad that you are having some consistent results so far. Keep pushing your boundaries!